A phone call from Liam's school angers Bianca, and when things take a turn for the worse, she wonders how the family will ever recover. Sharon warns Joey to raise his game when he seems to be spending more time flirting rather than the work she is paying him to do. A fed-up Patrick tries to prove himself, but Kim is horrified at how events unfold. Alarm bells ring for Bianca, who has to act quickly when she discovers the stock she is selling with Kat is stolen. Could things get any worse for her? In order to spend time with Sharon, Jack joins her behind the bar for Valentine's night. Alfie, meanwhile, gets it in the ear from Roxy, whose jealousy starts to eat away at her. Jay arrives with a romantic surprise for Abi, and one thing leads to another for the couple when Abi reveals she wants them to take their relationship to the next level. Bianca's week continues to deteriorate when she starts to lose control over Liam. Desperate not to end up back inside, she pulls out all the stops to put an end to the trouble. Kat is intrigued when Alfie asks to see her, and Bianca suspects Alfie still loves Kat. When Roxy makes disparaging comments towards Kat, the two women finally come to blows. The atmosphere in the Brannings is extremely strained. When alone, Max tries his best to explain the situation to Tanya - but will she be able to resist? Masood is stunned by the surprise return of Ayesha, and it does not take her long to make it clear why she has returned. Patrick struggles, knowing he is a burden, so he encourages Denise and Kim to go out. However, he soon finds himself in a precarious position when he tries to do things for himself. When Sharon receives an offer she cannot refuse from Phil, Jack takes matters into his own hands. Alice finds herself in deep water when she is caught with counterfeit money; where did she get it from? On a mission to please Alice and the rest of Max's family, Kirsty suggests throwing a party in remembrance of Derek's birthday that evening. 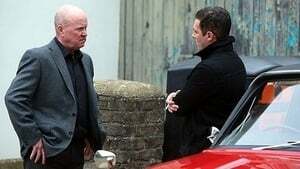 Patrick is angry and upset when Denise arranges a carer to look after him. Ayesha is thrown when Tamwar, unable to accept her relationship with Masood, tells her to leave Walford. Jack awaits his fate as Phil continues to meddle in his and Sharon's relationship. A confused Sharon makes a life-changing decision after arguing with both Phil and Jack. Denise cannot conceal her pleasure when Ian invites her to his birthday drinks in the Vic. It's the day of Lola's hearing regarding Lexi, and someone is trying to ruin things. A desperate Lola, livid with Phil, takes matters into her own hands. Just as things seem to be back on track with Jack and Sharon, Phil calls, leaving Jack furious as Sharon goes running to him yet again. Phil is desperate to find Lola but, as he looks to Sharon for help, he hears a few home truths. Thinking Cora still has a key to her house and must be the one behind the recent thefts, Dot makes it her priority to confront her. The hunt continues for Lola and Lexi, and Phil is in a race against time to track them down. Cora comes up with a plan to clear her name, but when she and Dot put her plan into action they are shocked by what they see. Ian and Denise have been forced to spend the night together. Liam helps out a gang when they are in trouble, but is he getting in with the wrong crowd? Kim becomes increasingly worried for her sister when she doesn't return home, but will Denise admit the truth when she finally shows up? After ignoring the letter from the council, will Dot finally decide to confront her demons? Carol is extremely concerned about Alice after Michael explains what he found behind the sofa. Bianca makes a shocking discovery which brings her whole world crashing down. Bianca has a difficult decision to make after her worst fears are confirmed, and Max flies off the handle when he finds out about Abi's secret. The speed dating night brings with it mixed fortunes for the residents of Albert Square. Alfie seeks out Jean's date to check he is up to scratch. Ian is pushed to breaking point when he is left to run all the businesses on his own. Ian is on a mission to find out who is responsible for damaging his livelihood. Whitney is in for a shock when a stranger arrives with a letter from someone in her past. Feeling the pressure, Whitney ends up making a decision that could change her life. Whitney is relieved when she manages to keep her actions a secret. Whitney is left fighting for her relationship, and Tyler and Joey come to blows. Will Kat and Bianca be able to put their differences aside to help Whitney? 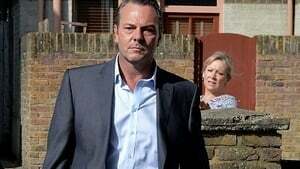 Max returns to Walford and Kirsty gives him an ultimatum. Max is in for a surprise when he is found in a compromising situation. Max is convinced he knows what's best for his family, but he is soon put in his place. Janine and Michael are forced to unite for the sake of Scarlett. Dot's revelation shocks the family and they are determined to pull together. Lauren discovers that two people she trusted have stabbed her in the back. Kirsty is shocked when she is attacked but will anyone come to her rescue? Carl decides enough is enough and it's time to get his own back. Ian pushes Denise to breaking point, leaving her to question their relationship. Ian tries to save his and Denise's relationship, but has he gone too far this time? Shirley is livid when she finds out Phil has been paying her rent and sets about getting her own back. Lauren is worried about Abi so she decides to throw her a surprise party. Shirley puts pressure on Phil, but will he be able to meet her demands? Dexter is annoyed when he is forced to work, meaning he will have to forfeit his holiday. When Abi is cold towards Jay he confronts her on her attitude, and Abi drops a bombshell that could change their lives. The youngsters arrive at the campsite for their holiday. Peter is worried that his dark secret will be exposed. When Roxy and Alfie interfere in her relationship, Jean makes a shocking announcement. The gang blame each other for what's happened, causing Peter and Dexter to come to blows. Peter reveals all to Lola. Jay makes a catastrophic mistake but will he get caught out? The group are surprised when Abi comes up with a brilliant idea. However, Abi's plan is met with dangerous setbacks. Back in Walford, Dexter is forced to face the music. 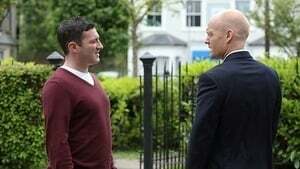 Determined to get Kirsty back, Carl does everything he can to rile Max and makes Phil an irresistible business offer. Lauren sees Jake again at counselling but infuriates him. Despite being warned, Phil is under pressure to produce cash and has no option but to do business with Carl. 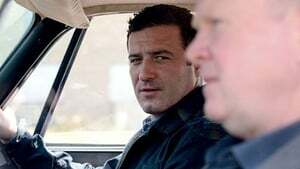 As they travel to the deal, Carl suddenly loses control of the car. 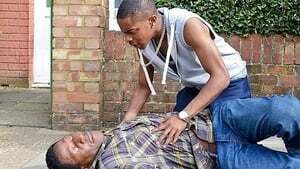 The catastrophic car crash has left Phil fighting for his life while Carl is slumped over the wheel. An air ambulance is called and the police start to make enquiries in Walford. As news of the arrest reverberates around the Square, it emerges that a key witness has come forward. Shirley breaks into Phil's house to take what she sees as rightfully hers. Ronnie is released from prison, but will anyone be at the prison gates to meet her? 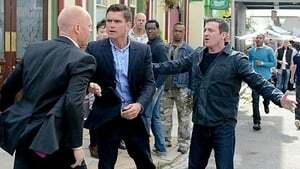 Alfie explodes into a fit of rage when he finds out what Roxy has planned for Ronnie. Ronnie is in disbelief when she finds out what Roxy has been up to while she has been in prison, and she quickly realises they will not be moving away together as planned. Roxy is torn. She is desperate to protect her relationship with Alfie, but can she stay away from Ronnie? Denise is thrown when Ian asks her to move in with him. When Ian finds out that Shirley knows his secret, he explains his concerns to Carl. Carl promises to sort Shirley out, but how far will he go to keep her quiet? Jack has mixed feelings when he realises Ronnie is still in town, but will he stay away or be drawn back to her? Abi is keen to do all she can to clear her father's name. Jean is still downbeat about losing Ollie, so when he walks back into her life and begs her to join him in Brighton she is overjoyed. But is leaving her life in Walford so simple? Kat realises she is standing in the way of Jean's happiness and decides to make things right, but has she left it too late? Kirsty is shocked when Abi and Lauren turn against her. 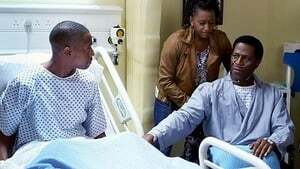 Dexter is worried about the state of Ava and Sam's relationship, so he is in for a shock when he releases the reality of the situation is much worse than he originally thought. As Phil continues to wallow in hospital, he is shocked when Peggy walks through the door to give him a few home truths, determined to put him back on the right track. As they await news from the hospital, Ava and Dexter continue to worry about Sam's health. Carl attempts to make Kirsty an offer she cannot refuse, but she has her sights on Kat. Dexter is determined to do what he feels is right, despite his family and friends giving him conflicting information. Tamwar tries to win Alice over, but Michael has his own plans. Masood excitedly prepares for a romantic night in with Carol, but their date goes from bad to worse when an unexpected visitor turns up on the doorstep: David Wicks. With trouble following close behind, Carol tries to come to terms with David's shock appearance - but what has brought him back to Walford? Concerned about Carol, Masood confronts David over his intentions and is left speechless when David drops a bombshell. David continues to try and win Carol over, but has he done enough to earn his stay in Walford? Fatboy is thrilled when Poppy reveals she has a surprise for him that will step their relationship up a gear, but his mood soon changes when he finds out her plans. A guilty Roxy continues to play with fire when she persists in seeing Ronnie behind Alfie's back. Alfie gives Roxy the chance to confess that she has been seeing Ronnie behind his back, but will she pass the test? Dexter and Sam receive news about the transplant operation. An exhausted Janine plays right into Michael's hands when Scarlett's safety is plunged into jeopardy. Guilt eats away at Dexter when he has doubts about his upcoming operation. Faced with a huge dilemma, Dexter faces Sam, Ava and Cora and finally makes a life-changing decision. Enjoying the power, Michael manages to wind Janine up. Michael's warped brain goes into overdrive and he continues to manipulate Alice, who becomes caught up in his plan to ruin Janine. Ava and Cora go head-to-head over Dexter. Jack throws a flat warming party to lift Ronnie's spirits, but Phil makes it clear that he will not be going as he doesn't approve of their relationship, which tests the Mitchell loyalties. After being reminded of the life they could have shared together, Jack and Ronnie are forced to question their entire relationship.